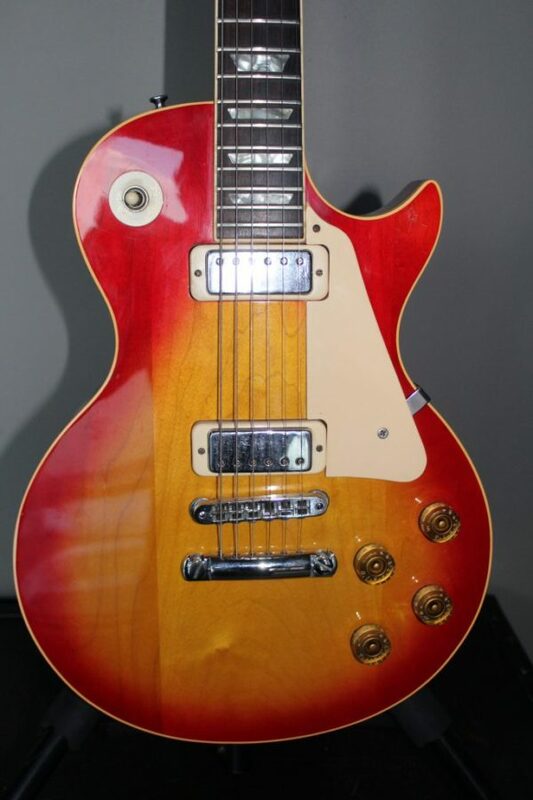 1979 Gibson Les Paul Deluxe in Cherry Sunburst. 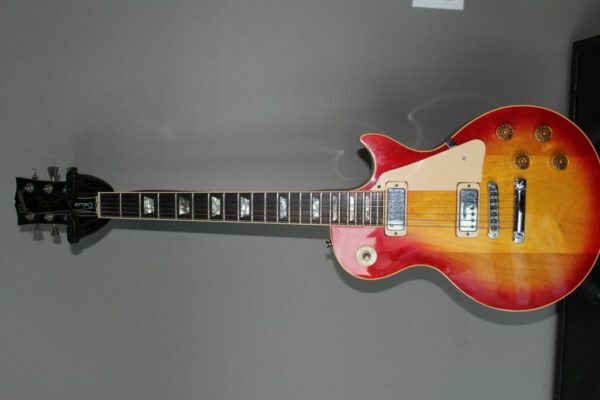 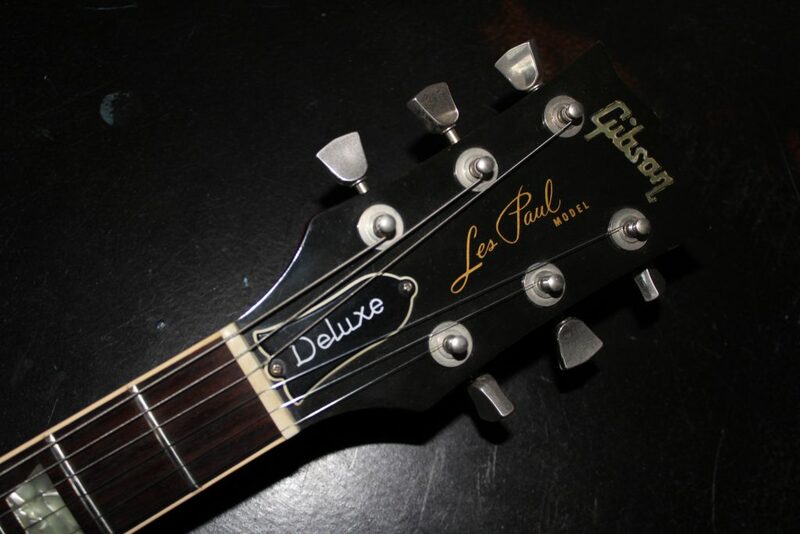 Vintage 1979 GIBSON LES PAUL DELUXE MODEL ELECTRIC GUITAR. The Gibson Les Paul guitar is no stranger to action and has been played with some loving over the years. Its is in 100% original excellent condition and has small dents and dings all over, some belt buckle rash on the back and the finish has been worn off the back of the neck to a smooth sheen. 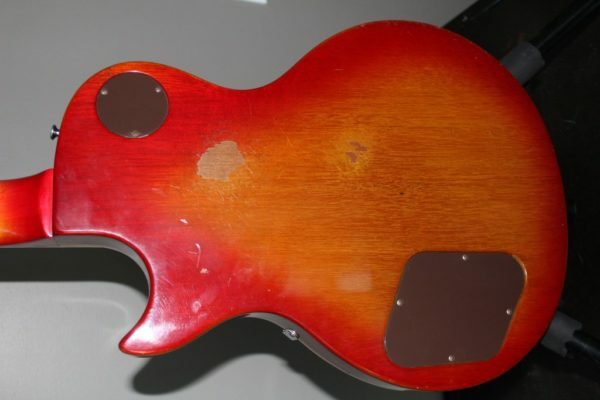 Basically its an perfectly “AGED” guitar without paying the premium to have it aged…….It features a very nice maple top and has quite nice color. 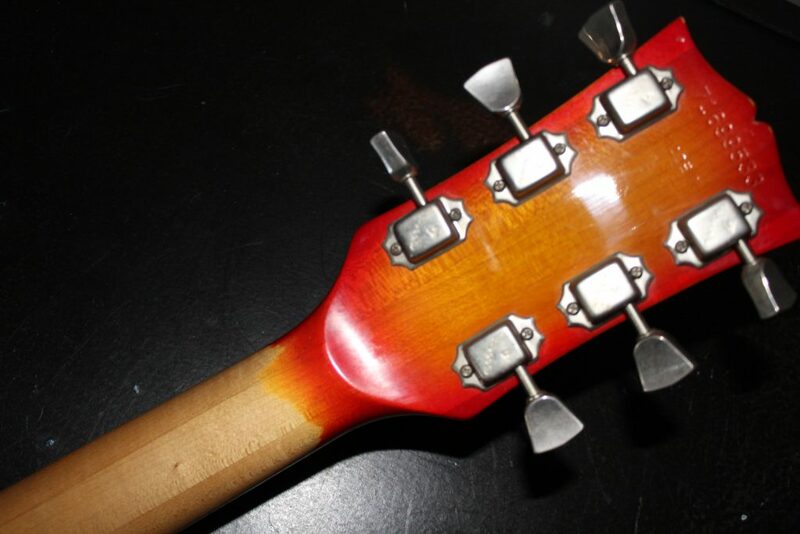 The mini humbuckers are nothing short of break taking when paired with a vintage Marshall and leave you wanting more. 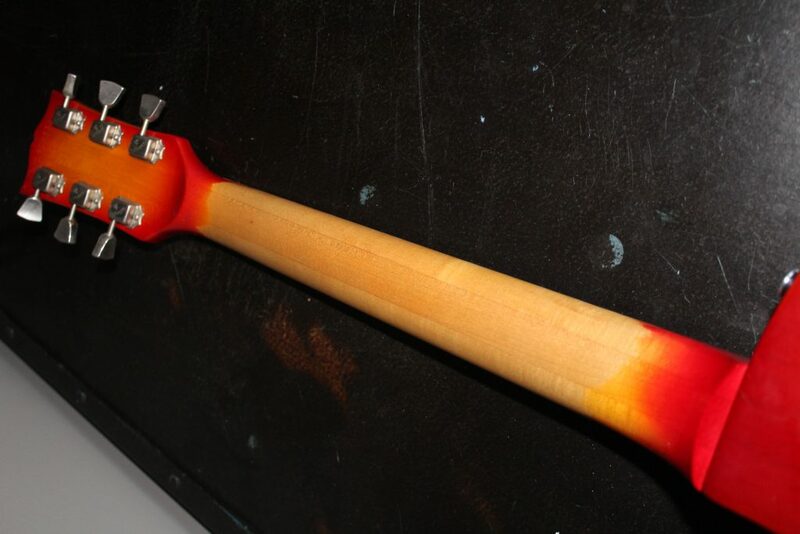 The guitar weighs about 8lbs. and comes with the original Gibson hard-shell case.